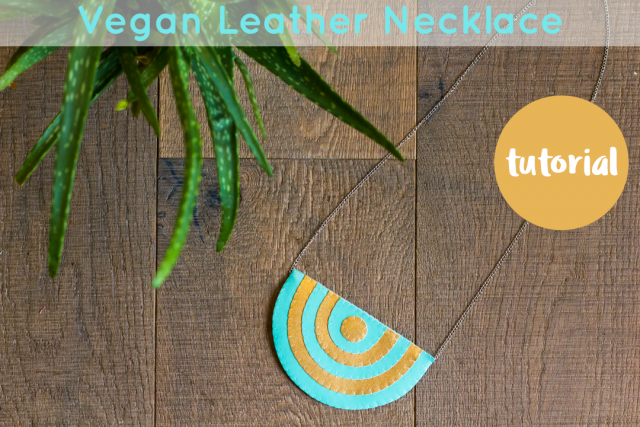 The final faux leather tutorial I designed for The Village Haberdashery is now up on their blog: how to make a geometric necklace! I loved working with the sheets of faux leather, especially the metallic gold - doesn't it look fab with the turquoise blue? 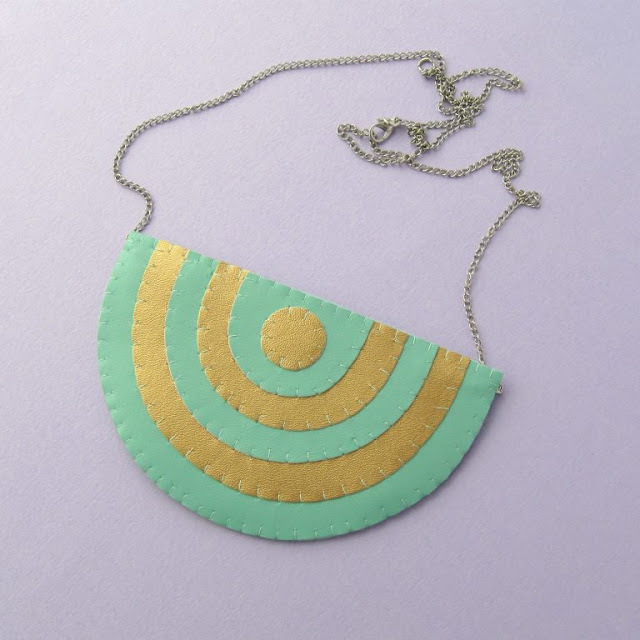 Click here for the step-by-step necklace tutorial. And here are some handy links to the faux leather tutorials I wrote earlier: a star headband, a mini notebook,and a lightning bolt brooch. The headband, necklace and lightning bolt would also be fab made with felt!